Planning a wedding is an exciting time for a bride, but it’s easy to get caught up in planning the centerpieces, the details of the ceremony, the decoration and everything in between. Luckily, you don’t need to worry about all these things anymore, because we have the ultimate solution for you. If you haven’t heard of Event Décor Direct, you may be surprised to learn that you can find an abundance of professional event decor products and equipment for all tastes at very reasonable prices. I will present you with some of my favorite and ideal wedding themes, which have plenty of romantic and nostalgic elements that are perfectly suitable for any couple celebrating the beginning of their lifetime journey! Who doesn’t love a bit of sparkle on their wedding day? If you fall into this category, I would recommend this Fairy Light Head Table Decoration Kit to add a sense of luxury to your special day. Your honorable guests will all be astonished by the beauty and elegance of the head table where the bride and groom will be seated and admired. 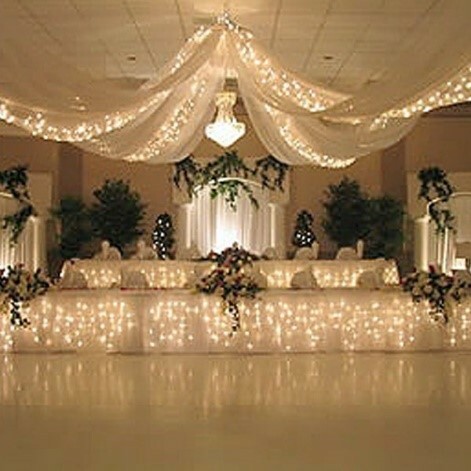 Keeping with the sparkle theme, a perfect match for the head table would be the Starlight Lighting Kit. The combination of the wonderful dim lighting that mimics fireflies, the fabric ceiling and the magnificent crystal chandelier will surely transform your wedding night into a romantic fairy tale that makes the perfect backdrop for an evening to remember. 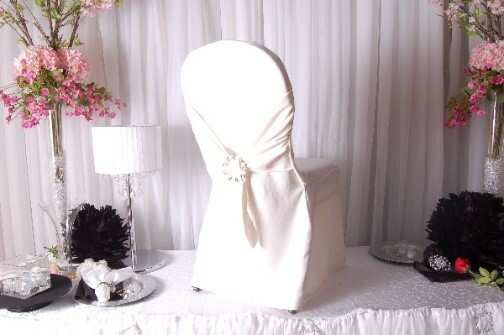 What better way to further your magical theme than with ivory fabric covers for the guest tables and chairs? 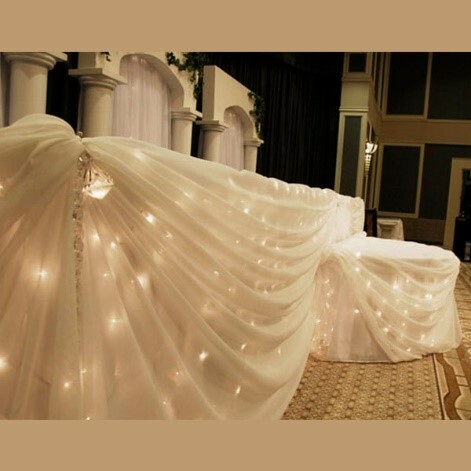 The beautiful bow detail on the back of the chair covers adds a very stylish and playful touch, and your guests will feel like royalty without you spending a fortune. All of the bigger elements aside, the small details are the ones that will really make the difference on your wedding night. 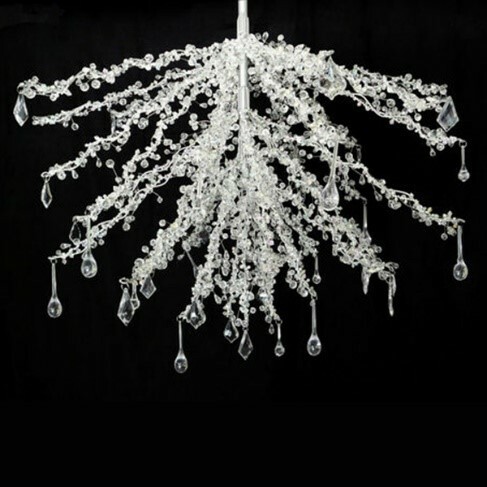 Filling the room with these Crystal beaded tree tops that can be hung from the ceiling will not only make for bright and stunning decorations of unparalleled beauty, but will create a very warm, welcoming and impressive atmosphere that your guests will be talking about long after the evening ends. Finally, you could also opt for some candelabras and lanterns on the tables as centerpieces, or scatter them in different area around the event room to create a quiet, cozy and romantic candlelit dinner for your guests. I guarantee you they will have the best time of their lives! These dreamy wedding decorations will create the perfect setting to celebrate your union with your significant other, all while transporting you to an era of romance and elegance. You deserve to feel like royalty on your special day, and you can do it without breaking the bank with Event Décor Direct. Be sure to stop by the site for your own wedding inspiration, and use our 10% promo code to save on your purchase!